Impressive headboard design can completely transform the look and feel of your bedroom. 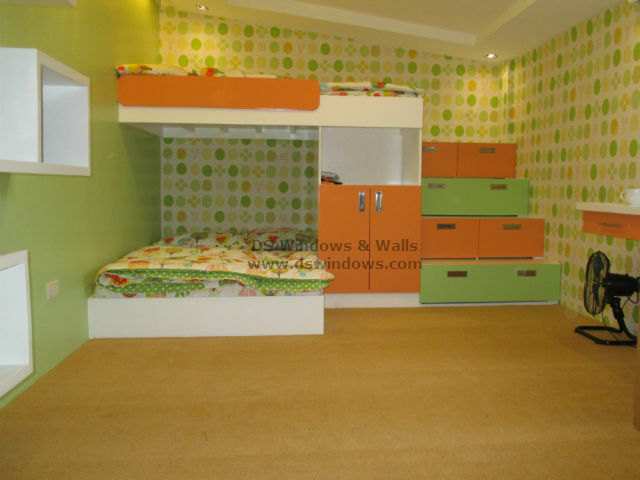 It can also be useful in terms of providing additional space or adding a creative look in your room. 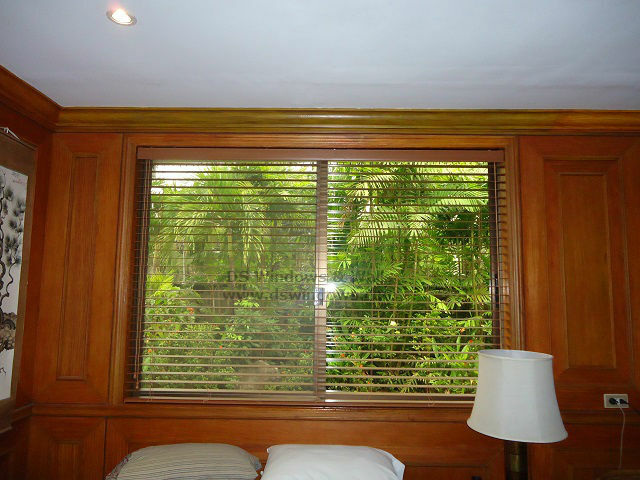 It’s also a good way to enhance the atmosphere of your room like our client in Fort Bonifacio, Taguig especially with faux wood blinds window cover. She placed her bed in front of the window with a simple yet stylish window frame and make it as her headboard with a wall made of wood. Most people might find it inappropriate to put the bed in front of a window because it’s disturbing in the morning while people sleep since the sun might probably wake you up. But our client realize it’s an amazing and fabulous idea to make it a headboard and make it as the focal point of the room with the right window cover that fits her theme. With the wood wall and wood frame she sticked to the wall theme and opted to use Faux Wood Blinds as a window cover with a color almost same as the wall. The sunlight that comes from the window somehow makes the room feel more inviting and is one of the best benefits of window as a headboard and focal point. When it comes to appearance a cleaner and simpler look that works well due to window cover that show fine and straight forward design while giving a sophisticated look like the one in the picture ( our client headboard window ) is great way to make an astounding bedroom design. The thing that people are most worried about is the sunlight and you can easily solve it with blinds like Faux Woods that can block it almost completely. She chose Faux Wood Blinds as opposed to the real wood variety since it’s more inexpensive and low maintenance and less prone to sun damage. When it comes to appearance faux wood blinds is the perfect replica of real wood so most people will not see the difference of the real and faux wood blinds. 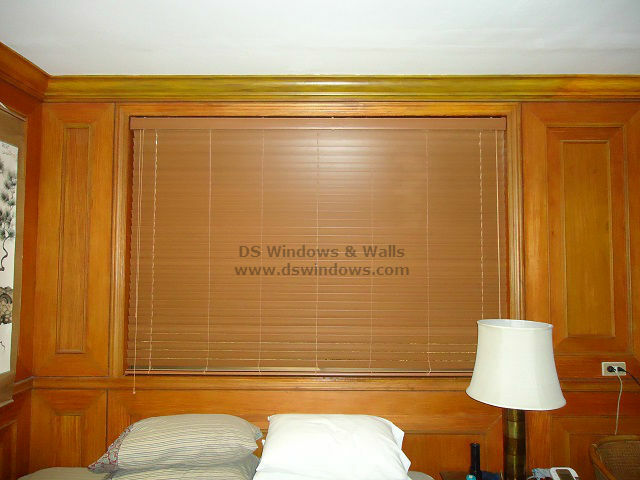 DS Windows & Walls offer lots of different blinds with various colors available. We also offer free ocular visit for actual measurement within Metro Manila. 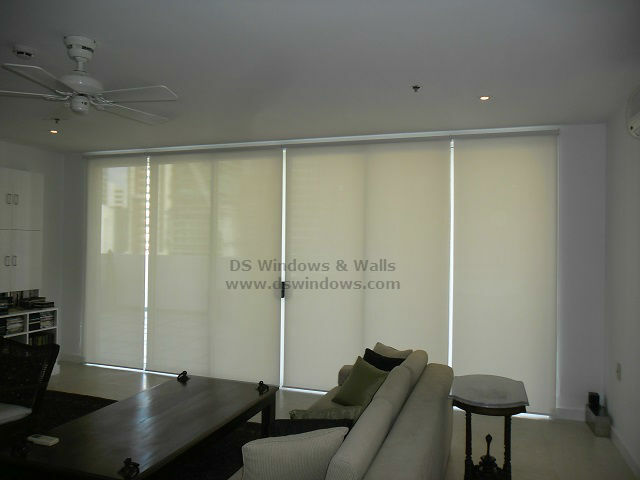 For online buyers you can also visit http://www.angryblinds.com.ph/ just make sure that you have the right size of your window. For more inquiries please call us at (02) 893-1373 / (02) 403-3262 / 0916-311-3909 or visit our showroom at 2nd level Pacific Mall Lucena City, 3rd level Robinsons Metro East, Pasig City and 4th level Waltermart, Makati City.